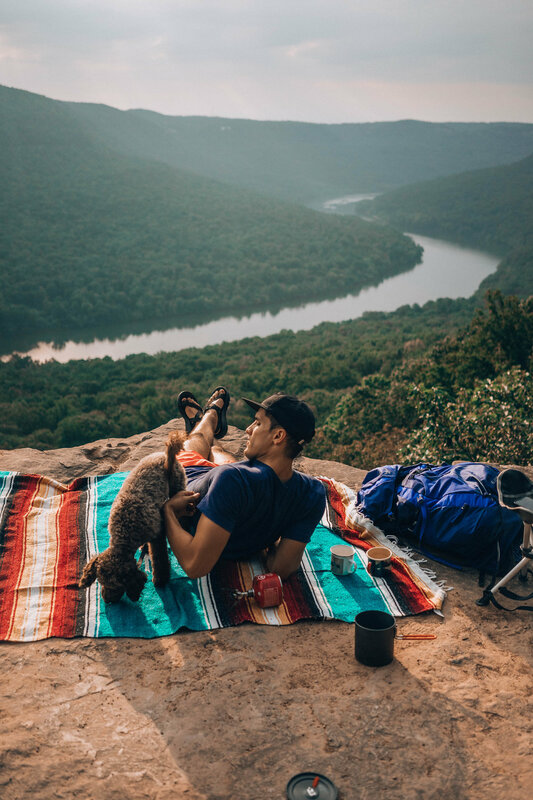 Camping at Snooper's Rock | Chattanooga — monetsommers. Give me a weekend away with my boys any and every week. 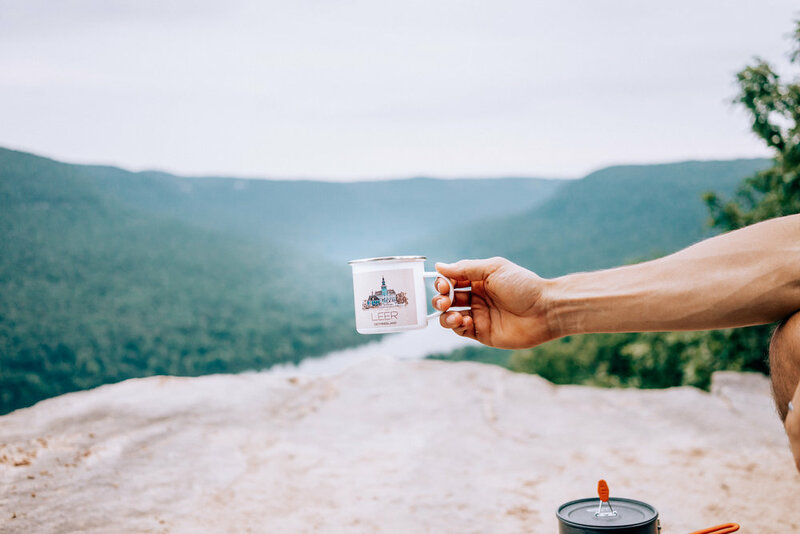 Since we've moved to Chattanooga, Tennessee we've had the longest bucket list of adventures to have in our own backyard. For those of you that are not familiar with sweet ole' Chattanooga, it's a little gem of a town. 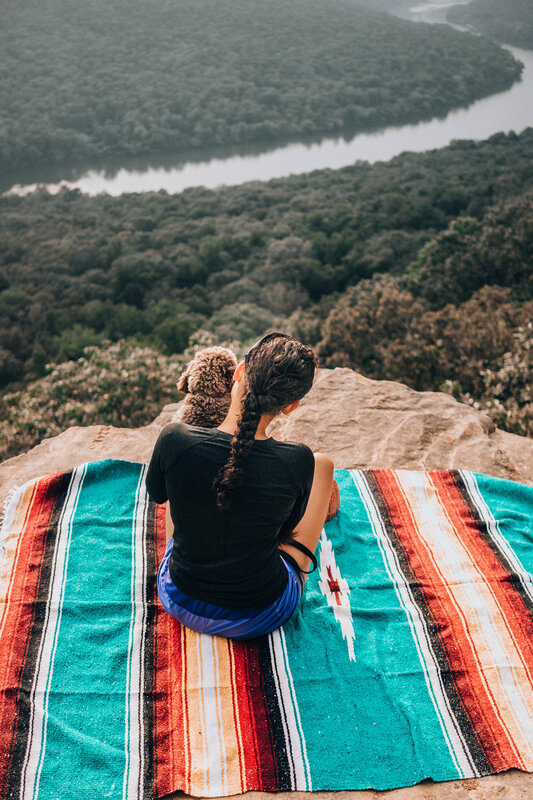 From camping up on Snooper's Rock to kayaking on the river, or going climbing up on Lookout Mountain then cleaning up to see an exhibit at the Hunter Museum of art; there's so much to do in this town we now call home. When we lived in Germany we had one successful camping trip at Schreckesee, which I say "successful" lightly. We got caught in a snow storm and I was pretty traumatized afterwards. So most of our camping trips included sleeping in our car at the Harz Mountains. Now that we're back in the States, we are a bit more comfortable camping in new spots and can at least speak English with someone when we are lost! So it was about time we did a camping trip, and one in our backyard at that. We drove to Snoopers Rock after a long work day and arrived 1 hour before sunset. We didn’t really have a plan; per usual. We just winged it and thankfully it all worked out. We camped out at Davis Pond and it was pretty busy (granted it was Labor Day weekend). Michael set-up our tent (that’s our deal in camping — he sets everything up while I take a seat and watch in admiration), built a fire, and then we got settled for bed pretty quickly. The perks of having your car in walking distances made all of this super easy and quick. I would definitely sleep at Davis Pond again if my soul plan was to wake-up for sunrise at Snooper’s Rock. It’s super convenient and an easy set-up. If you’re the kind of gal or guy that prefers a long hike and more privacy, than I wouldn’t recommend Davis Pond. It’s just loud and doesn’t feel all that remote. But, it’s easy to get to and you’re right next to Snooper’s Rock. We woke up right before the sun was rising and drove back up to Snooper’s Rock (I’m talking a 3 minute drive on gravel road). There were about 4 other people up there, but there was plenty of room for us all to enjoy the sun rising over the mountain. We made coffee (aka Michael made coffee), ate our Whole Foods scones, and enjoyed the sun peaking through the clouds. It was the best. Seriously can’t think of a better way to enjoy a cup of coffee than with views like this. So, if you’ve thought about going to Snoopers Rock; don’t think, just go! It’s so worth it. If you bring a dog, keep him or her on leash, because it can be kind of scary when you’re on the ledge. Otherwise, it’s pet-friendly (and I imagine kid friendly?). Any other campsites in Chattanooga you all recommend? Fall is coming which means campfires and weekend trips are on repeat.